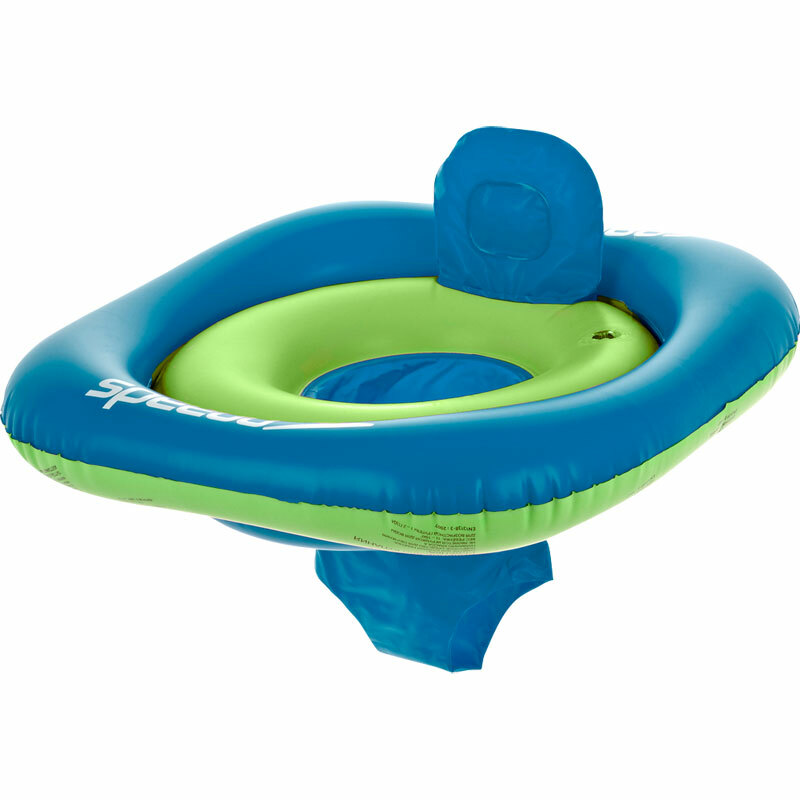 The Speedo ® Sea Squad Swim Seats are part of the Speedo ® Learn to Swim range. Part 1 Start Splashing is ideal for introducing your child to a swimming pool. Stage 1 – Start Splashing: Everything a water baby needs. All the products in this range are specially designed to help your baby feel safe and confident in the water. You can use them at the pool, on holiday or even at home in the bath. Inflatable with seat and back support. Meets all relevant European safety standards. 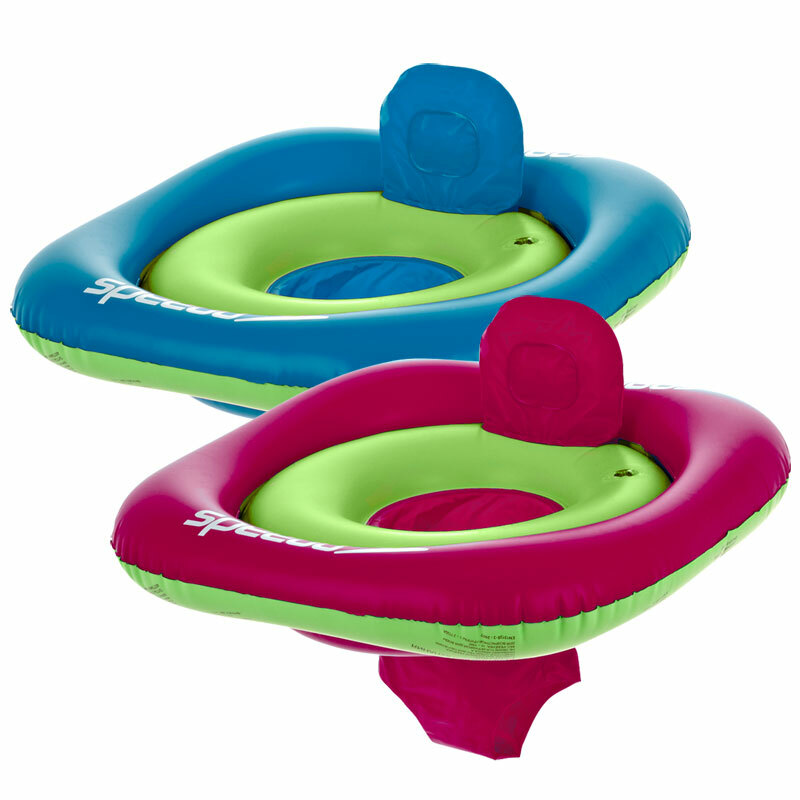 Fun and brightly coloured , this swim seat is perfect for my grandson ,who's just had his first birthday . Not only excellent value for money ! But perfectly safe and fun to use .excellant product along with quick and efficient delivery . ?? My baby was born 5.11. we went on holiday to Wales for the bank holiday weekend when he was 10 weeks old. so finding a swimming flat that was 0-6 months was near impossible! I seen this one online which was the only one I could find from 0 months and it's fantastic, brightly coloured, easy to get him in and out and easy to blow up. Bought this for holiday. Our one year old loved it. It was safe enough that he could bob around in a deep swimming pool quite happily and it was perfect for him to use to practice his walking in the shallow toddler pool. Great price and quick delivery too. Brilliant for my 8 month old granddaughter. Kept her securely upright in the water and allowed her to move her legs. Gives great support. A really good product! 5 out of 5 My 18 month old daughter loves it! We went on holiday to Portugal with my 4yr and 18 month old daughter. My daughter hates getting her head wet, but loved the seat as it enabled her to float comfortably in the water and we couldn't keep her out of the pool! A great item. This is a good product. It's very stable and our child was able to relax and enjoy his first visit to the pool in it.